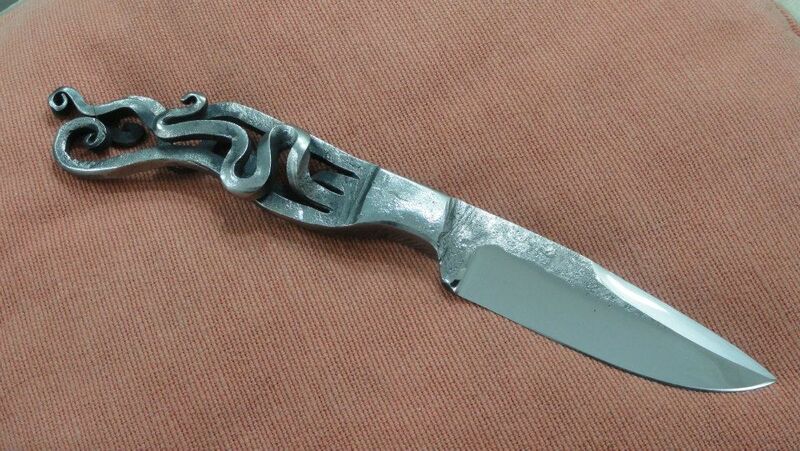 These unique knives are born from recycled pieces of machinery, engines, etc. 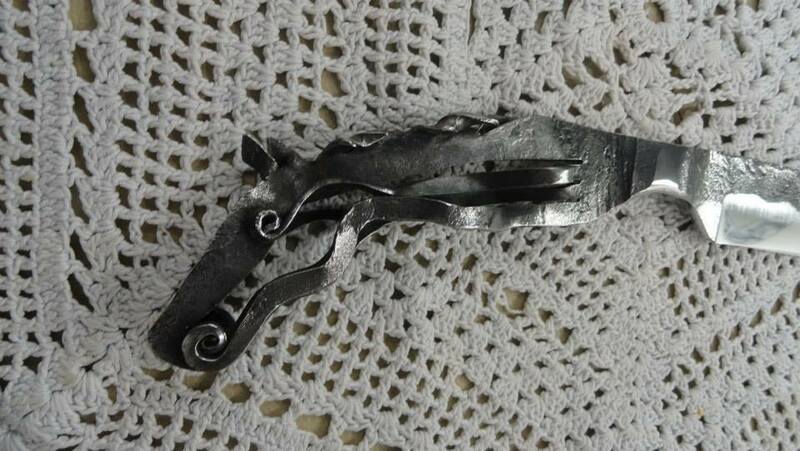 I select each piece as much as for the quality of its steel, as for how it feels in my hands. These pieces are the fruit of my inspiration and my art. You can be assured that you are looking are original pieces. Please note that some very special pieces, such as “La Biela”, are registered in the National Department of Artists’ Rights, file nº452162. 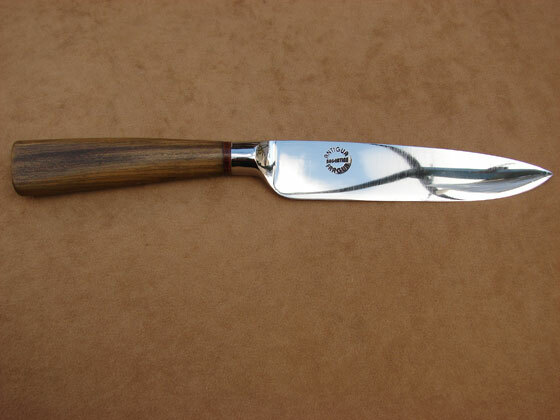 Stainless steel recycled knive, exclusive design, forged by hammer with one single piece. 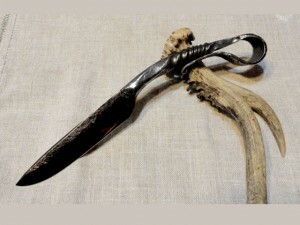 Recycled with a unique design of horse at the base of the handle. 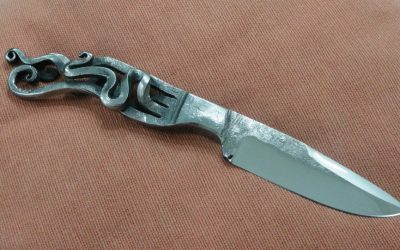 This beautiful knife was hand-made in only one piece. 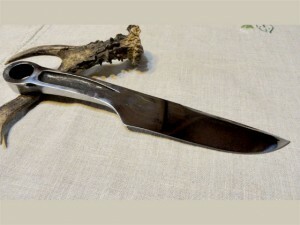 Artistic knife made in recycled steel. It was hand-forged in one piece.